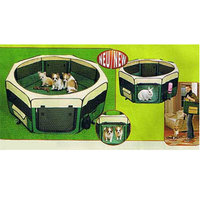 2) 2 Zippered Doors for convenient out and in. 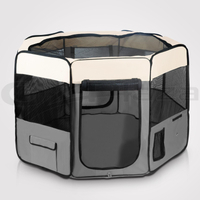 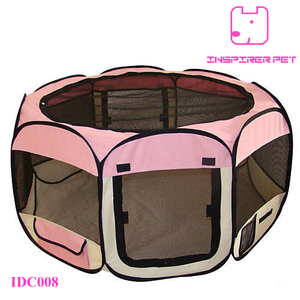 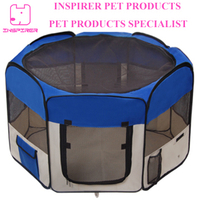 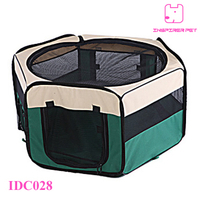 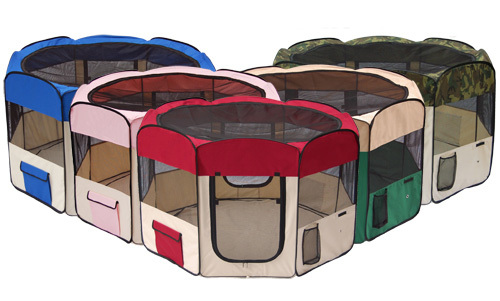 3) 1 Zippered Mesh Cover on the top to avoid pets jump out or other animals jump in. 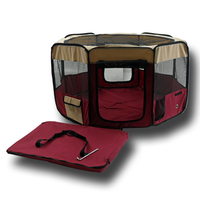 5) 4 Metal Hooks to hold the playpen onto ground. 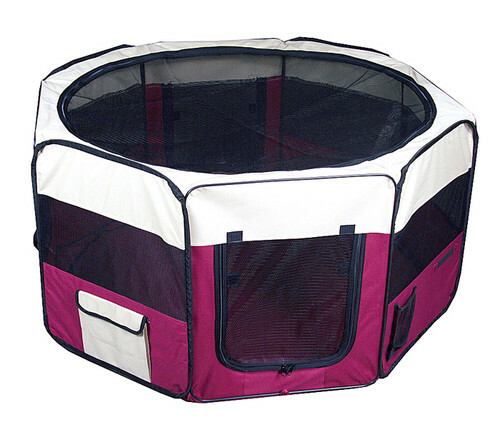 6) 8 x Velcro on the bottom, so bottom is removable. 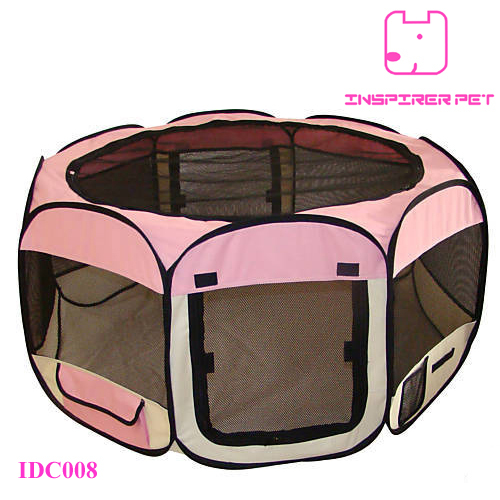 also prevent escaping, easy to clean.